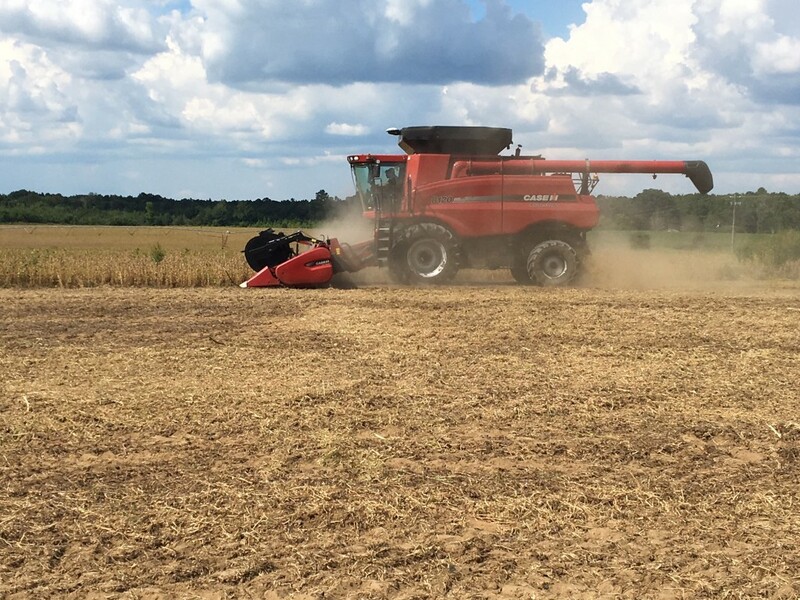 We got to start on harvesting soybeans this week a little worried where Florence would go. 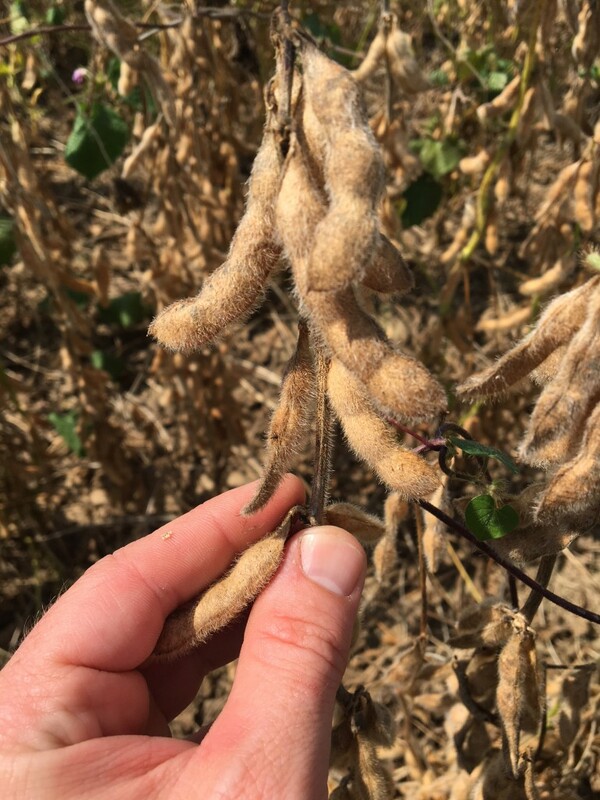 Generally, we want to harvest soybeans when they are mature since we can lose quality or have issues with weather. 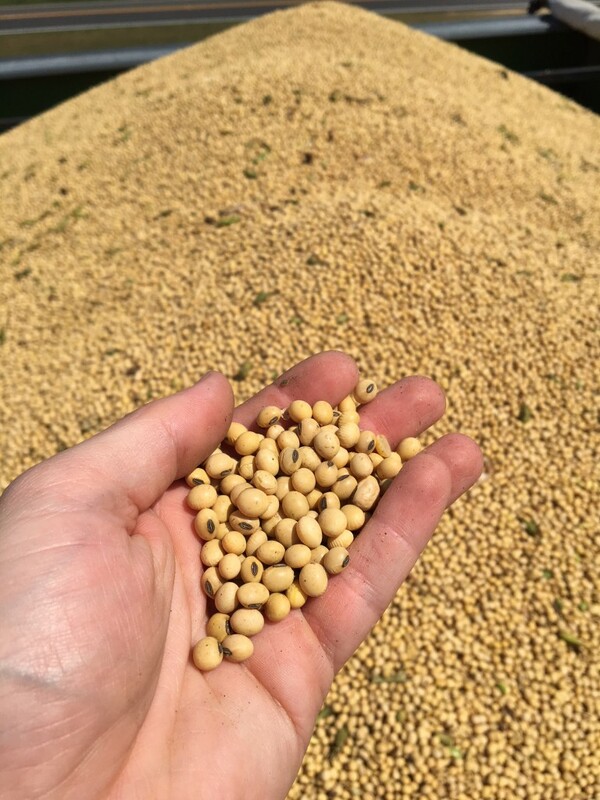 The issue here is that the beans usually have too much moisture for safe storage – about 20%. If you have a good set up or drying method, 20% can be done but is more cost of drying. But high moisture grain drops moisture fast in the field, so we fair a little better if we can harvest at 14-16%. Moisture in the field right now is around 11 – 12%, so now is a good time. So far, we are very pleased with some of the yield numbers we are getting. 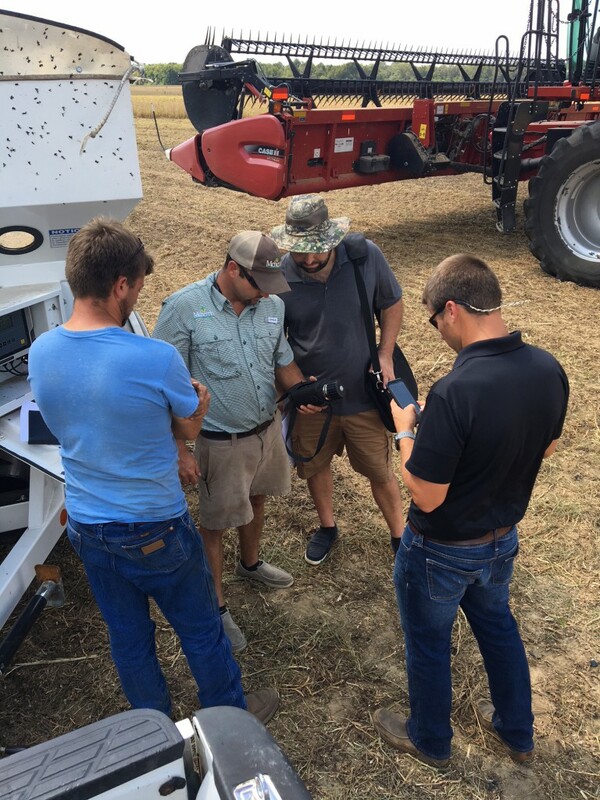 UGA Extension Precision Ag Specialist Dr. George Vellidis is in the final stages of a new Soybean Irrigation App. He came up and we put some irrigation monitors in this field to test the new irrigation app against Clayton’s normal watering. His technician came up to collect some yield data. We still have soybeans in the R6 category. This is when the beans are just touching in the pod. They have a little bit to go and we are getting dry. The main question this week is what about terminating irrigation? Once we move into bloom and reproduction growth, we watch wilting of leaves. At the R6-R7 growth stage, if the plants are wilting before noon, we want to put out some water. If they are wilting by the end of the afternoon, we are okay. 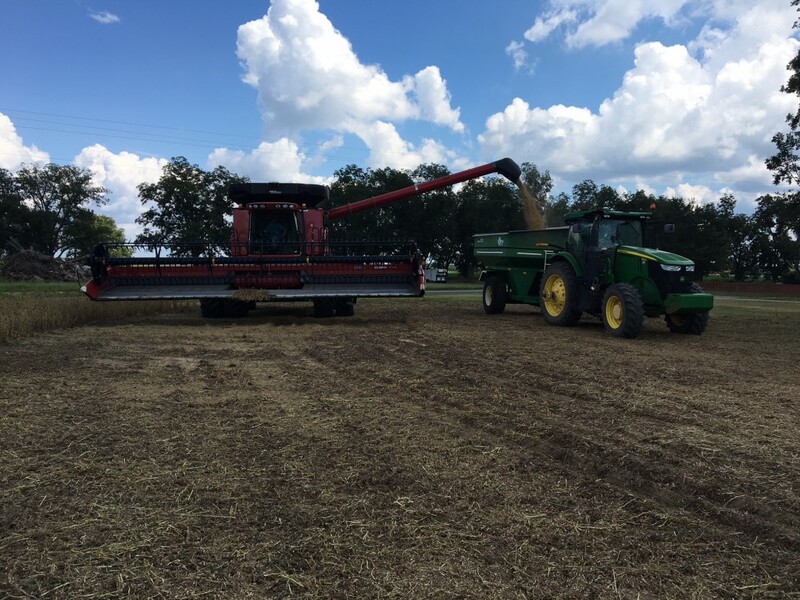 Soybeans dry down in the field fast. Moisture reading at 15%. Posted in Soybeans. Bookmark the permalink.